Teach Manchester is offering an excellent range of high quality School Direct places to start September 2019. As an experienced School Direct Alliance of Manchester schools, including primary, secondary, specialist and sixth form colleges, we are working in partnership with Manchester Metropolitan University to deliver innovative and exciting Initial Teacher Training in Modern Foreign Languages education. 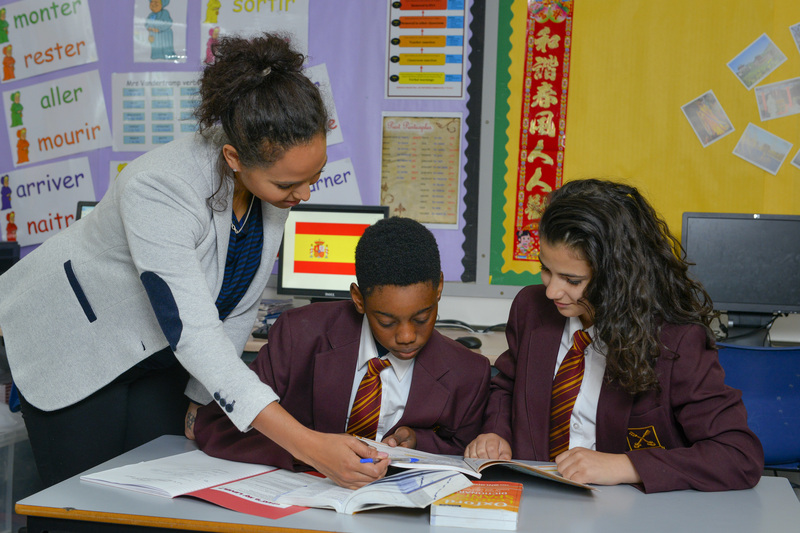 Whilst training within the Modern Foreign Languages department you will carry out training in our dynamic and forward-thinking department whilst working towards the teacher’s standards. You will be required to teach a variety of topics in two languages across both Key Stage Three and Four. Trainee teachers will also play a key role in the assessment of the pupils; using data to inform future planning and demonstrate progress.